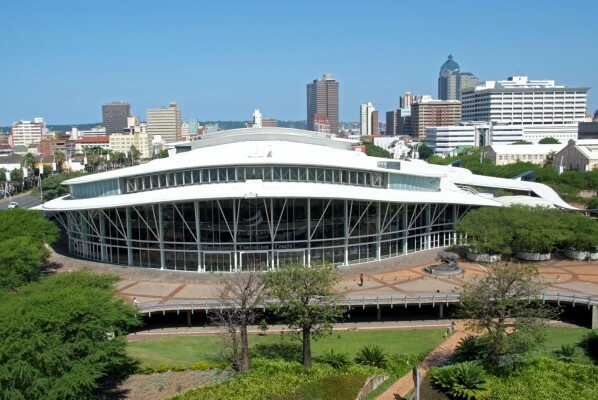 Tourism was cited as a major economic driver in discussions on emerging economies at the 30th annual Pan-Pacific Business Conference, which took place last week at the Sandton Convention Centre. 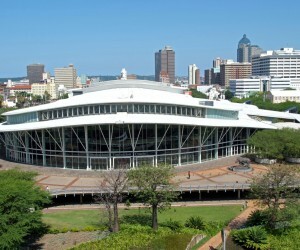 The international event, organised by the Pan-Pacific Business Association and hosted by the University of Johannesburg Faculty of Management, drew an audience from 18 countries in the Pan-Pacific Rim. Speakers debating the optimisation of economic development drivers noted a current geographic shift in source markets, reflecting the economic power transfer from north to south and west to east. This meant that tourists from developing countries were accounting for a greater slice of international tourist arrivals. Further, the inbound markets of emerging economies were growing at annual averages of 4% – double that of developed countries, which were averaging at 2% growth. Shaun Vorster, special adviser to the Minister of Tourism, revealed South Africa was a case in point. Since 1994, the country's international arrivals had spiralled from an annual 3.4 million to a current 9.2 million. Growth in 2012 revealed an increase of 10.2%, more than double the average global rate. Additionally, the country's fastest growing source markets were the emerging economies of Asia – up 34% from last year – and South and Central America, up 37%. Since 2011, China has risen being from South Africa's eighth largest long-haul market to fourth. "The shift in source markets is developing alongside urbanisation," stated Vorster. He said the next two decades would see a billion new city dwellers, calling for the establishment of multiple new cities the size of London. Many of these would be located in Asia and Africa. In their wake would be new airports, air routes and a vast increase in tourists. Forecasts by the World Tourism Organisation held that the total number of world tourists would reach 1.8 billion by 2030, up from the one billion mark reached last year and a far cry from 1950 when total tourist numbers amounted to 25 million. A number of challenges had to be overcome as the tourism sector moved toward these new goals. The first of these was minimising the red tape of travel documentation. A switch to e-visas would create millions of new tourist arrivals in a short space of time, while 600 million e-passports were already in circulation. Vorster pointed out that air connectivity, the mode of 80% of the international arrivals, showed gaps – particularly in south-to-south direction and over the African continent. Africa lacked an effective hub and spoke system. While hyper connectivity and the Internet were the glue of all business today, bringing markets closer together, and presenting new business opportunities, they also had vulnerabilities – notably security risks. Environmental sustainability was yet another challenge, but Vorster expressed his belief that the tourism industry could become a powerful change agent in the green revolution, leading the way in green building in the hospitality sector and carbon abatements in land and air transport. Lastly, too little financial aid and development assistance was directed at travel and tourism, and banks, donors, United Nations agencies and development agencies had to be convinced to increase their support of tourism ventures. Jabulane Mabuza, chairperson of Telkom SA and a member of the Board of South African Tourism, quoted research conducted by the World Travel and Tourism Council, reinforcing tourism's strength to drive economies. He said that tourism's direct contribution to gross domestic product in 2012 was US$2 trillion and the industry supported 100 million jobs around the world. Travel & tourism employed six times more people than automotive manufacturing, five times more than the global chemicals industry, four times more than mining, twice as many as the communications industry, and a third more than the financial services industry. Vorster stated that for every US$1 million spent, 50 tourism jobs were created; one in every 11 jobs worldwide was situated in the tourism sector. As a haven for small enterprises and a labour-intensive industry, tourism could have a noticeable impact on the battle for job creation.